Instant Video Alerts are unlimited. 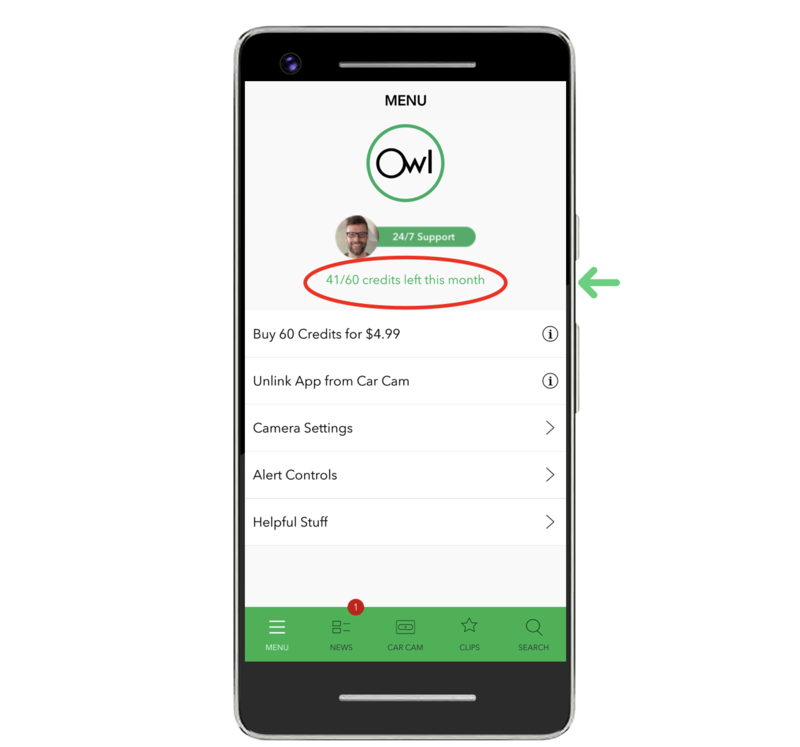 When your Owl Car Cam detects an impact or broken glass, you will have the video on your Owl Car Cam app. For example, in one month you can make 23 voice-tagged clips, Live View your car for 24 minutes, and review your Video History for 13 minutes. The counter will always reflect how many credits remain for the month. Unused monthly credits do not roll over. However, unused in-app purchased credits do. Without service, your Owl Cam still works over a direct Wi-Fi connection. You can get your video when you’re in the car, but you won’t receive real-time Instant Video Alerts when you’re away. At the beginning of each month, your 60 credits will automatically be replenished.